If you’re looking for emergency plumbers in Headingley, Woodhouse or Hyde Park we are not too far away and aim to be with you within the hour. You can call us any time of the day, any day of the year and you shall pay no call out fee! We only start charging from the time we arrive, so if you have an overflowing tank, a toilet that won’t flush, trouble with Gas Boilers or Hot Water Heaters call us now! We’re not just here for emergencies, you can call us out for any kind of non-emergency job too. In Headingley, we can do all the usual General Plumbing Work such as dripping taps, blocked sinks with U bends needing cleared and toilets that are backing up. We can also clear Blocked Drains you may have outside and for non-emergency work we aim to be with you the same day and get it fixed properly on that one visit. As with the emergency call outs, there is no call out fee for any type of general plumbing work you have us do. 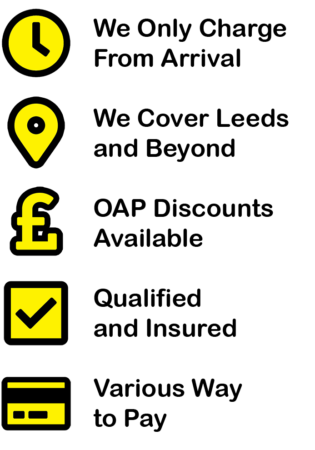 What’s more, you shall receive an itemised bill showing you exactly what you are paying for, with no hidden costs. Hour hourly rates are fixed, even throughout unsociable hours. We’ve been called out to Headingley for all sorts of plumbing jobs, from the small and relatively quick and easy to fix to the more complicated and time consuming. With happy previous clients from the area recommending us we know we are getting things right! 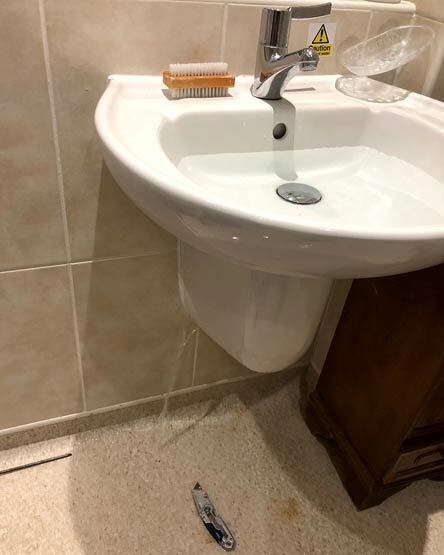 John Farmer from Headingley had a bathroom sink that was leaking all over the floor. EmergencyMan were available, arrived within the hour and were able to do a permanent fix that same day. A fantastic job, excellent service, I highly recommend Emergency Man Plumbing and would use them again in the future without a doubt. Keep up the good work! If you’re outside of Headingley you will be pleased to know we cover all towns and suburbs in Leeds and further afield in West Yorkshire. General plumbing and unvented hot water cylinders repairs are carried out by fully qualified and insured plumbers with over 25 years experience. Any work involving gas boilers or gas central heating systems will be carried out by a Gas Safe Register engineer. You can also have an engineer inspect your gas appliances and issue safety check certificates. EmergencyMan are able to offer these high quality services at competitive rates. We don’t expect to receive any payment until you are completely satisfied with our work and there are several ways to pay. All of the work carried out by EmergencyMan comes fully guaranteed. Should any problems occur with our work simply give us a call and we will get you as soon as possible. We take pride in our excellent after sales service.